1, Using the sixth generation efficient IPM intelligent module from Japanese Mitsubishi, high efficiency and stable performance. It with powerful protection function, the protection for short circuit, over load, over temperature is more safe and reliable. It’s service life can up to 15 years or more. 3, According to the product configuration conditions, adjustment the system usage mode: DC(Battery/Solar) priority or AC mains bypass priority can be set. 4, Two kinds of start mode: Reduction Voltage Start and Variable Frequency Start. Customers can set start mode according to the type of their load. This function is very convenient for users and also reduce frequency converter’s usage, which reduced the cost of equipment investment, easy to connect wires and control. 5, The output frequency can be setting via LCD panel, it’s very convenient for customer. 6, The output voltage can be set between -40 % to +20 % of rated voltage. And the output voltage is very accuracy ±1%. 7, The DC input voltage range can be set. Over-voltage point, under-voltage point, over-voltage recovery point, under-voltage recovery point all can be setting via the LCD panel. 8, Pure sine wave output. With good dynamic response less than 50MS, waveform distortion rate smaller, higher conversion efficiency and stable output voltage. 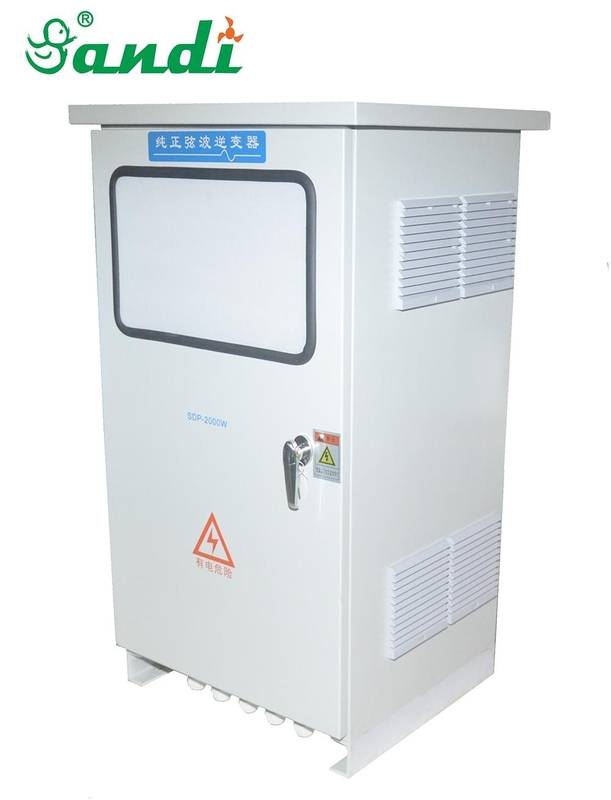 9, Built-in low frequency isolation transformer, strong impact resistance, available with motors, pump, air conditioners and other high impact equipment. At the same time DC busbar and AC busbar are completely isolated to avoid interference. 10, Wide input voltage can be set according to customer’s requirement. 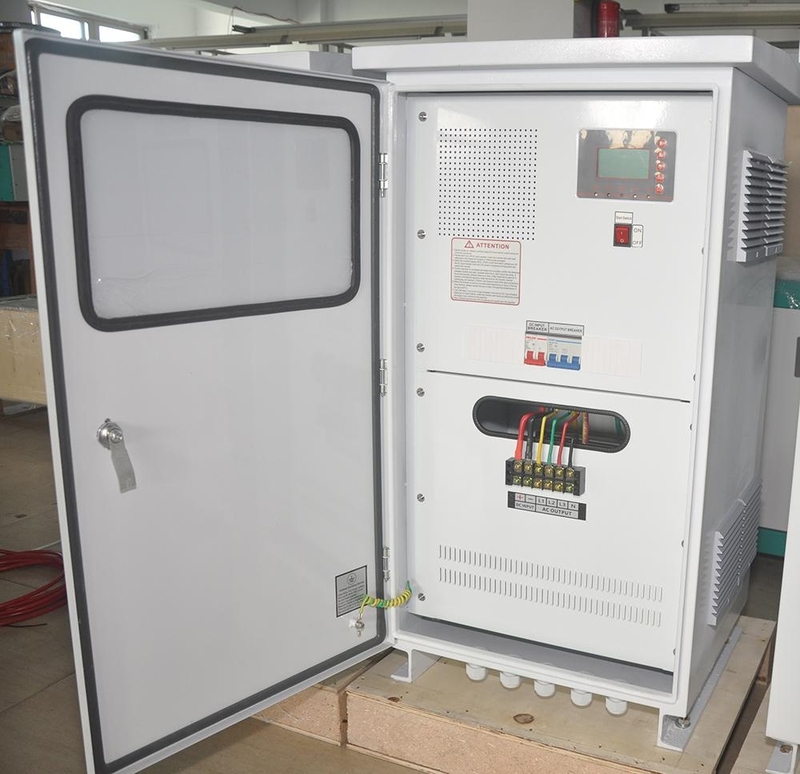 Input voltage range can be selected from 100-300V, 200-500V or 500-850V, suitable for solar/wind system without backup batteries, it can save many cost and maximization use the solar/wind energy. 11, Using SVPWM space vector algorithms, high conversion efficiency, high instantaneous power and low losses conversion efficiency up to 94%. 12, Powerful data display function. LCD can display the DC input voltage, output frequency, phase voltage, phase current, AC bypass input voltage, output power KWH, time and date, temperature, fault code display. 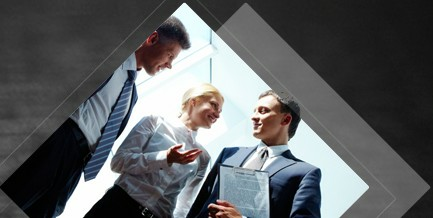 13, European CE (EMC, LVD) certificate, accredited by Australian CEC, ERAC energy network.